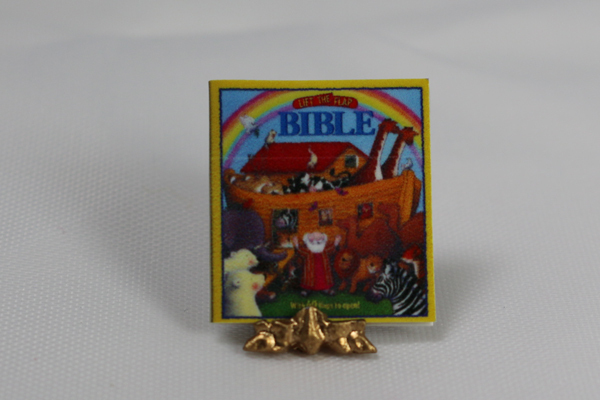 This carefully crafted and detailed miniature Children's Bible would be a great addition to your dollhouse book collection. It is a 1:12 scale miniature item that measures about 3.3mm. The miniature book is just for show and does not open. 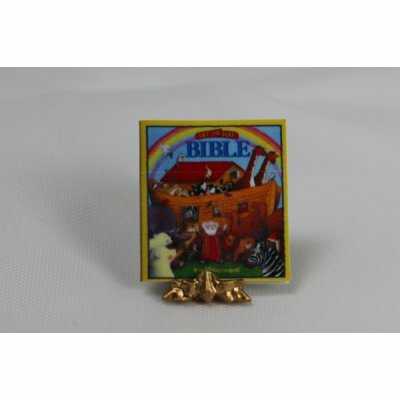 This 1" Children's Bible is supplied by Cindi's Minis, which generally ships within 1 business day(s) of you placing your order .